It was just another peaceful day over at Donkey Kong Island. Donkey Kong and his friends are celebrating his birthday, when a sudden cold wind blew out the candles to DK’s cake. The cold wind was brought about the invading Snomad Vikings, who have claimed Donkey Kong’s home as their own. 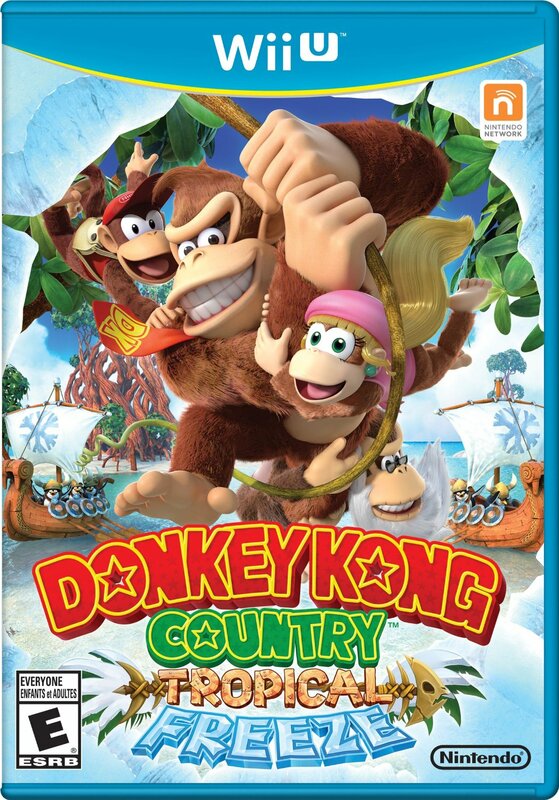 Now Donkey Kong, alongside Diddy, Dixie, and Cranky, must venture through various islands in his attempt to claim his home back from the cold weathered villains. But are the Snomads to great of a challenge for even the mighty Donkey Kong to take down? 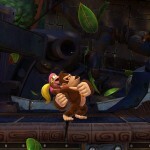 The Donkey Kong Country series has always been a franchise that has been loved by the Nintendo faithful. 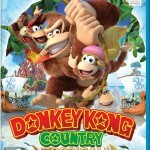 The series has never been known for its breathtaking stories, though having the story this time not revolve around the theft of Donkey Kong’s banana horde is a bit of fresh air. Tropical Freeze introduces a new group of villains to the Donkey Kong lineup: the Snomads, a group of Viking-themed animals. The Snomads have taken over Donkey Kong’s island and now as DK, you must fight to reclaim your rightful home. 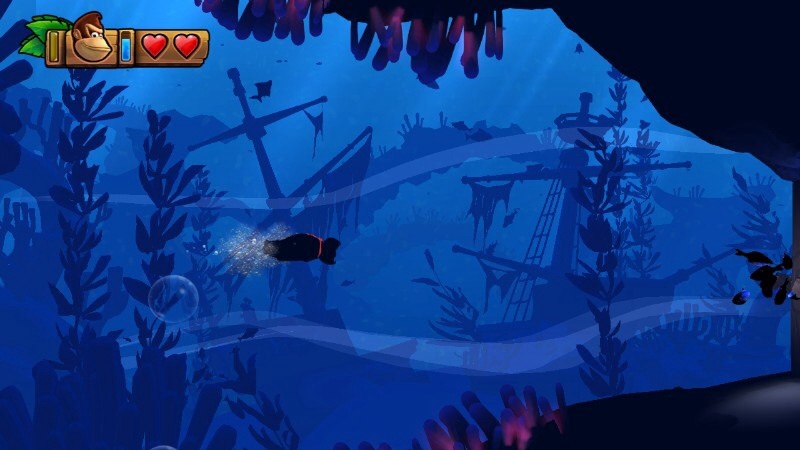 The gameplay of Tropical Freeze is fairly straightforward: you run, jump, grab, and pound across the levels until you reach the end with checkpoints scattered in between. 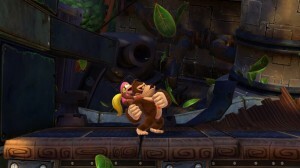 Each of the three partner Kongs offer their own unique abilities. 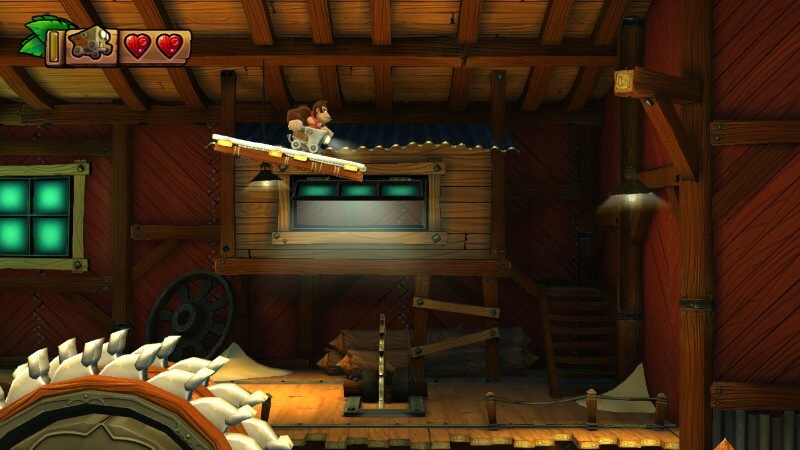 Diddy’s jetpack allows for a bit of hover time, Dixie has a second jump, and Cranky (in his debut as a playable character) has a Scrooge McDuck-esque pogo jump that allows you to pass over treacherous areas. The game also offers help in the form of Funky Kong’s item shop, which allows players to purchase extra lives, Kong partner barrels, etc. 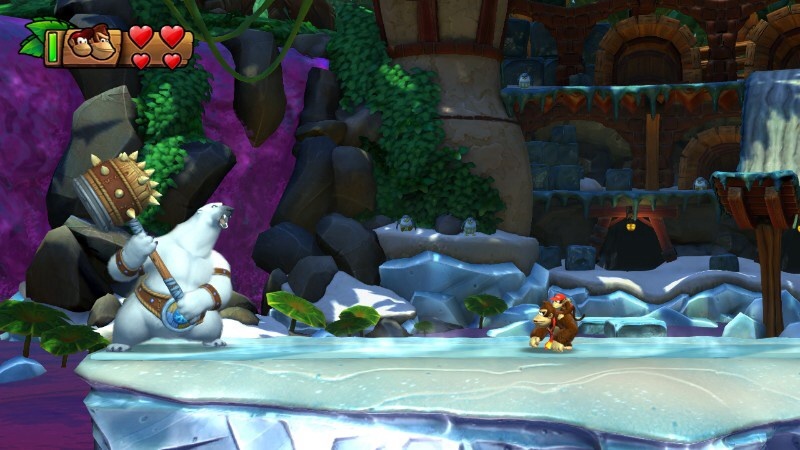 Tropical Freeze is not an easy game by any means; the partner Kongs and Funky’s item shop may alleviate some of the difficulty, but it’s still no walk in the park. 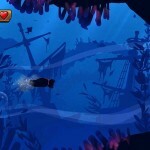 The game adopts a tough but fair difficulty – overestimating your jump, or assuming there is a platform beneath a cliff will lead to lost lives. But the game’s difficulty is best shown through the boss fights. Each of the bosses have different ways which you’re required to defeat them, but there are no checkpoints in the boss fights. If you die, you start all the way back at the beginning. There are Six Islands that you travel through, each containing roughly about seven levels (not including the hidden levels). While that is fewer levels than what Donkey Kong Country Returns offered, each of the levels are roughly about twice the length of the ones found in Returns. Some may be let down by Tropical Freeze’s quality-over-quantity approach, but I found it to be more enjoyable. 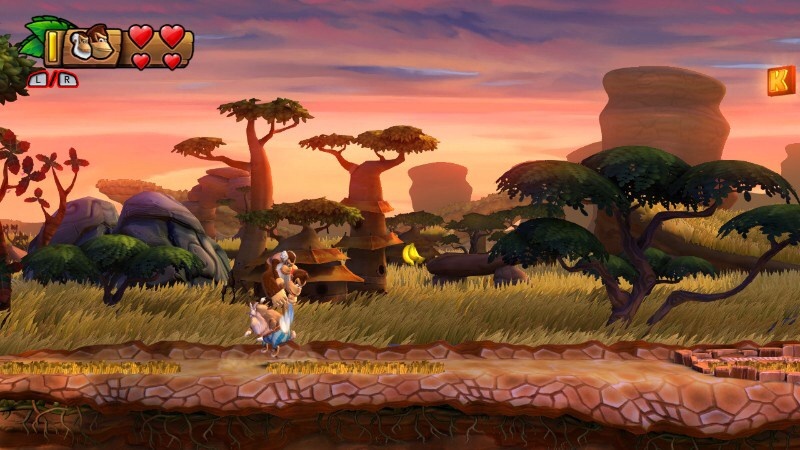 The level designs of Tropical Freeze are phenomenal; while the levels within each of the islands share similar themes (Water Level, Savannah Plains etc. ), each of the levels are unique from one another. Aside from the platforming stages, there are also Mine Cart and Rocket Barrel levels to add a bit of variety. The only levels that I found to be repetitive where the bonus rooms; each bonus room has the same objective: collect all the bananas to get a puzzle piece. They aren’t necessary to beat the game, but for those completionists that are out there, these levels can wear thin after a while. 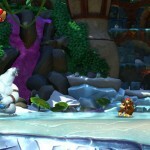 The graphics and details of Tropical Freeze really show the power that the Wii-U has. Whether it’s the detail on DK’s fur or the backgrounds of the Pixar-esque levels, you could tell that Retro Studio took their time to perfectly craft each detail in the game. However, the biggest strength of Tropical Freeze lies within its musical score. 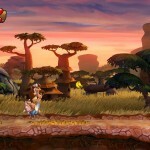 Each of the musical tracks that plays in a level perfectly complements each other. Often, I would stop playing a level just to enjoy the music. With the addition of David Wise to help compose the score, expectations were already pretty high on how the game’s music would be, but the final product hits it out of the park. Once you beat all the levels (hidden levels included), hard mode becomes available, which removes checkpoints and allows you one hit before you’re done, but does give you the option of playing as any of the four Kongs. There is a leader board option as well for those speed runners; this is a great way to compare your time to others around the world. Unlockable figurines are also available to collect, with many becoming unlocked after you beat a boss or clear a level. There were few issues – more nitpicks than actual issues – the first being that the gamepad of the Wii-U isn’t featured much. Co-Op was a an issue with Player 2 not being able to switch between any of the partner Kong’s at-will, instead only being able to switch by dropping out then joining back into the game. Donkey Kong Country Tropical Freeze is by far one of the best games released this year. Its challenging but rewarding game play, coupled in with its beautiful graphics and great soundtrack, makes it a must own for any Wii-U owner. The bonus rooms are repetitive and co-op could use a few tweaks, but they are only minor nitpicks in what is otherwise a total package game.